Thoughts | Jump n SHOUT! Welcome to Jump N SHOUT! We hope you feel welcome and have a blast bouncing around, using your imagination, meeting new friends and experiencing both floors of fun. 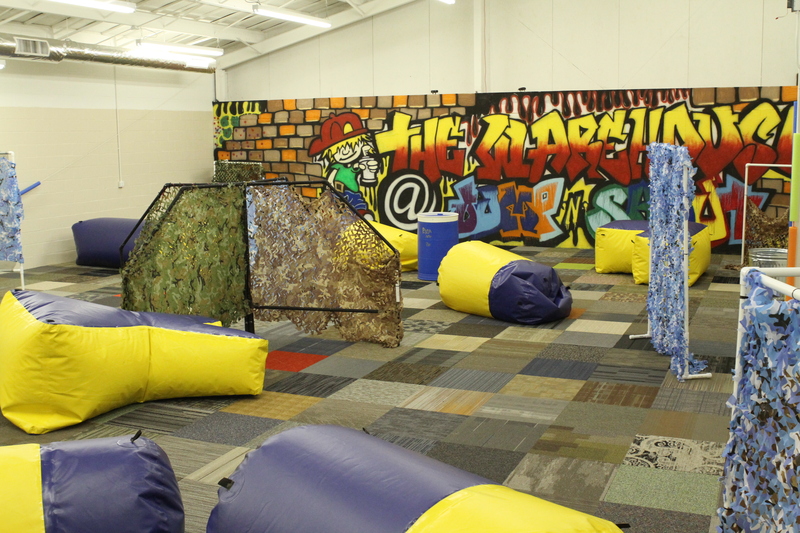 Full of obstacles, barriers to hide behind and a fun black light atmosphere, our Nerf arena is perfect for the adrenaline seeking kids and their parents.